Have you seen the Microsoft Surface Pro 6 commercials circulating on television featuring two NFL players as owners of a cupcake shop? It’s true! 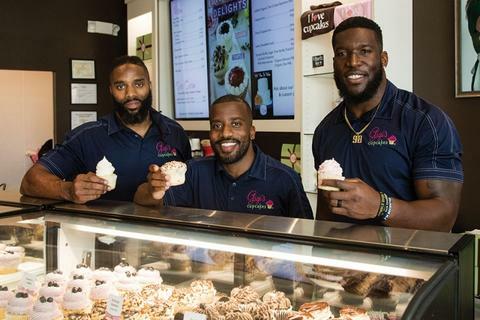 Former Tennessee Titans players Michael Griffin and Brian Orakpo, along with a childhood friend of Griffin’s, Bryan Hynson, have become a part of the famous Gigi’s Cupcake franchise. The chosen location for the shop was Bee Cave, TX, near Austin. All three men attended the University of Texas. 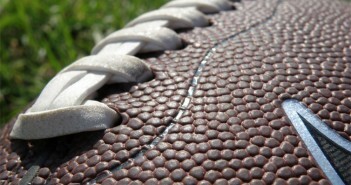 How do NFL (or former NFL) players become cupcake shop owners, one might ask? Well, this business undertaking reportedly resulted from a discussion over lunch in February 2017. 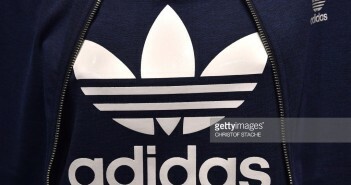 According to reports, the three were discussing possible business ventures. Apparently, Griffin and Orakpo frequented a Gigi’s location in Nashville, Tn, while teammates with the Titans, took their friend to said location and a serious pursuit of becoming a part of the Gigi’s Cupcake franchise was birthed! The cupcake shop’s formal name is Gigi’s Cupcakes Bee Cave and celebrated its grand opening in March of 2018. If you happen to be near Austin, Tx in the near future…stop in…and tell them Her Sports Corner sent you!